Early last year, Hawaii introduced an internet gambling bill which would allow casino gambling, poker gambling, and lotteries to be offered through a state-regulated online portal. The bill was introduced by Senator Will Espero on January 20th, 2017 as a means to introduce new revenue streams to support Hawaii’s expanding infrastructure from public schools, to universities and other meaningful community programs. The potential law would allow for full online casino gambling, twice a year land-based gambling events hosted by an approved gaming entity, online lottery sales, online access to games of chance and skill such as poker, and multistate gaming junctures. However, specific stipulations in the bill prevent any approved gaming corporation to offer both online casino gambling and sports wagering – another bill would need to be presented to allow sports gambling. The bill in question known as SB677 would also permit free-plays via their online platform and the ability to offer sweepstakes to non-Hawaiian residents to attract tourism to Hawaii. Hawaiian Senate bill SB677 has been the most successful gambling legalization bill presented in Hawaii as many attempts have been made but failed disastrously. Current reports have detailed that tens of thousands of Hawaii state residents gamble on offshore gaming sites and collectively spend millions. Licensed offshore online casinos are known to accept young American gamblers, so it is no surprise that Hawaiian players seek gambling options online as the state they live in offers no legal form of gambling in-person making it a traditionally gambling-unfriendly state. However, the currently pending SB677 has provisions to allow 18 year olds access to all of the gambling offers written within the bill, permitting domestic gambling options for young adults. Since many Hawaiians are already experienced with online gambling through offshore hosts, switching to state-regulated platforms will be easy and more convenient for HI players. In fact, one Senate seat candidate is hoping to further push gambling legalization to become reality. Michael Last, a Libertarian Party member, believes legalizing gambling could be a successful alternative to raising local and state taxes. Hawaii’s Senate District 3 seat which sits on the Big Island near Kau and has been occupied for the past ten years by the long-term legislator, Senator Josh Green will have a new Senator seated as Last will be running against the Democratic Primary Winner in the General Election. Currently, two Democratic candidates are fighting to represent their party after August 11th, Brenda Ford, and Dru Kanuha. Both individuals are experienced in county government affairs and advocate for affordable housing, healthcare, and a resolution to Hawaii’s increasing homelessness. Last, a New Yorker who has lived in District 3 for twenty-five years actively runs for office, volunteers at the State Blood Bank and is a contributing member of the Ocean View Community Association. His goals as Senator are to prioritize the potential gambling legalization for tax revenue purposes which he claims will prevent residents from paying higher taxes, as well as, provide more individual freedoms, and increase the number of diverse voices in the State Senate. While Last is running unopposed on the Libertarian ticket, he has run for this specific District seat in the past in 2014 and was unsuccessful. Hopefully, with the increased interest in the legalization of gambling more individuals will stand behind Last and help him carry his voice for gambling advocacy to a higher platform by defeating the Democratic Primary winner in the General Election. If Last were to hold the District 3 Senate seat he could help further this budding movement of support behind SB677. If Hawaii were to legalize gambling, even in limited forms, then Hawaii would be removed as one of the United States’ notoriously dry gambling states leaving Utah to be the only US state with no gambling whatsoever. 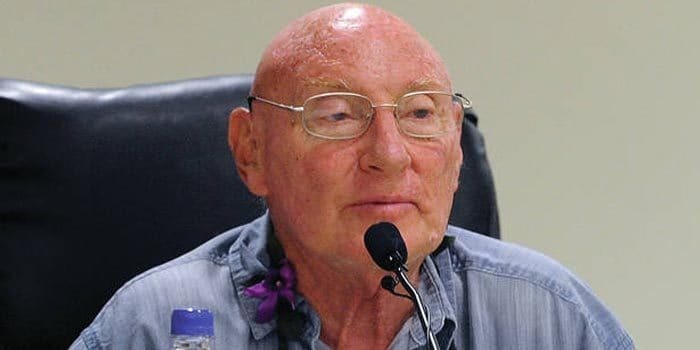 If Hawaii’s pending online gambling bill were to become law, it would redirect gambling dollars from being spent outside of the US online back to being redistributed within the state in a controlled and taxable environment, as well as, increase tourism which brings its own monetary benefits as the Big Island knows well.